Even if Venice is accessible by car, train and boat, the main touristic airports are Venice Marco Polo Airport and Treviso Canova Airport. Here, we provide few useful information to reach Venice from these airports. Alilaguna is the water bus service. From the Arrivals hall, look for the covered walkway on the left and follow the walkway to the dock. Tickets can be bought at the Public Transport ticket office in the Airport Arrivals hall, at the ticket machines at baggage claim near carousels 3 or 5, at the ticket office at the dock (water bus landing stage) and on board the water bus. Prices range from 15 (one way) to 27 (a/r) euros, for more information check here. A taxi service is provided both by water taxies and land taxies, prices vary. 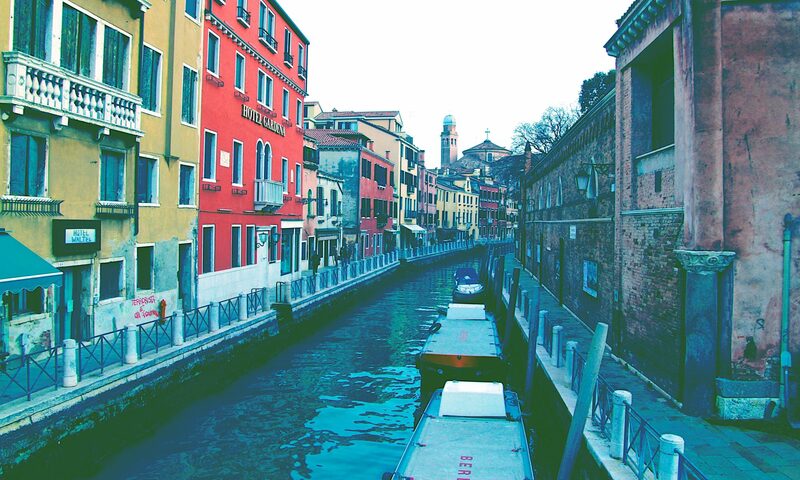 Take the ACTT bus to Treviso train station and then the train to Venezia Santa Lucia. Doubts, misssing something or just want to say “Hello”? Write us! !